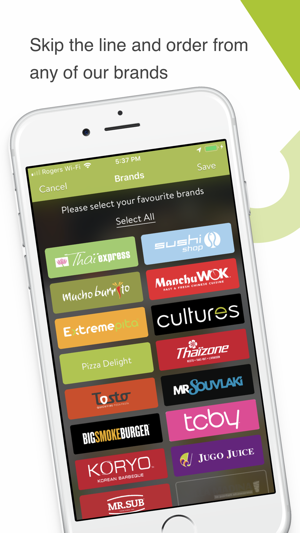 Bon App is a simple way to order your favourite meals from a variety of participating restaurants, directly from your phone. Skip the line! 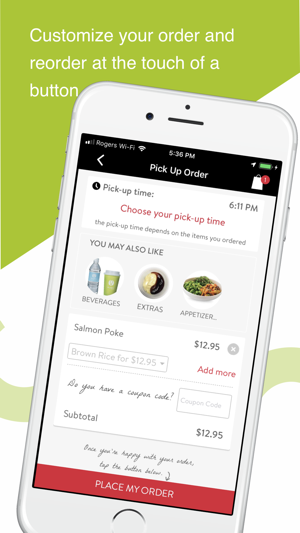 Order from your favourite restaurant at any time with Bon App! 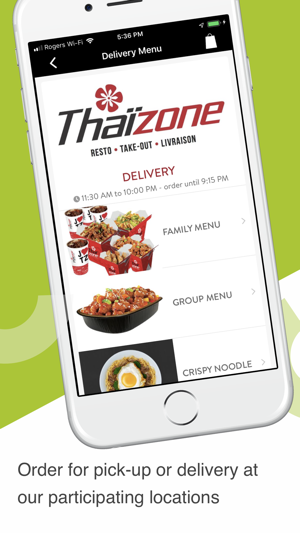 Choose your restaurant, order for immediate pick-up, for later, or for delivery and have your meal ready when you arrive. 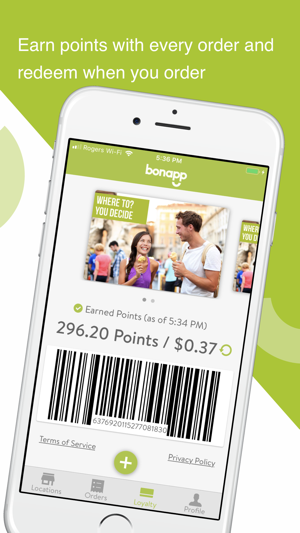 Enjoy the same great food tailored to your taste and prepared fresh when you order, all while automatically earning points on your Bon App Rewards card. 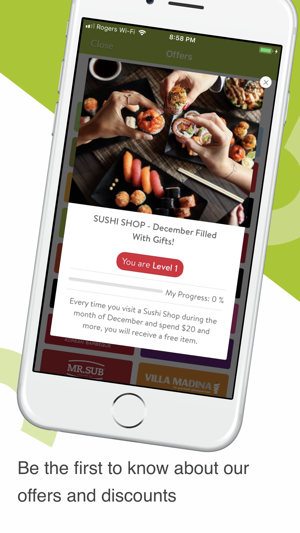 Bon App gives you the advantage of earning rewards with every purchase. Earn 10 points for every $1 you spend before taxes and redeem later to use towards all or a portion of your meal. 3. Make your meal selection and customize it according to your taste. 5. Add your meal to your cart and proceed to checkout. 6. Pay online and forget the hassle of waiting in line. You asked, we are listening! We made updates to make your BonApp experience more seamless. Download this update and stay tuned, as we have new brands coming soon! With this version we are enabling Apple Pay with credit card payments. Enjoy! J’ai dû payer ma commande en double pour finalement la payer encore une fois à la boutique. J’ai écris à la compagnie et y’a toujours des problèmes pour me rembourser j’attend depuis super longtemps, ne télécharger pas ça! Ça ne vaut pas la peine et l’attente est interminable pour se faire rembourser! Redeeming Thai express reward online doesn’t work. My capital one credit card doesn’t work. Something to do with MasterCard ID check. Waste a lot of time. Je mets à jour mon avis précédent: après plusieurs mails au service clients pour le remboursement d’une commande qui n’est jamais arrivée, je reste sans réponse. Je viens de recevoir une réponse à mon commentaire précédent me demandant de contacter le service client! De qui se moque-t-on??? 70$ de perdu, passez votre chemin!! © 2015 MTY Group Inc.